You helped your client book the perfect couple’s getaway to an all-inclusive resort in Punta Cana, Dominican Republic. But two weeks before their departure, a category four hurricane threatens to level their plans entirely. They’re asking you if they can postpone their trip, but they passed on your recommendation to buy travel insurance. What now? 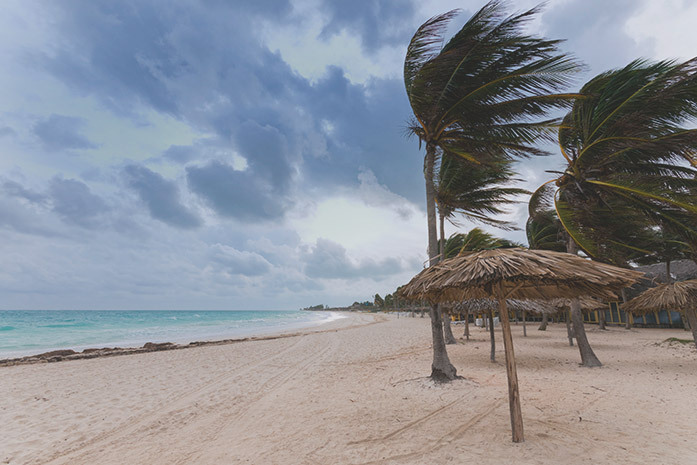 Anytime a client is planning to book a trip to a coastal destination with a history of hurricane activity during hurricane season (June 1 – November 30), ask if they’ve considered travel insurance and educate them on how the right plan can protect their trip. Storm Damage: If a hurricane causes severe damage to make your client’s travel accommodations at their destination—or their primary residence—reasonably unfit for living. Cancellation/Delay: If an airline, cruise line, or travel operator ceases all services for 24 consecutive hours due to a severe storm, or a travel delay will cause a client to miss half or more of their trip (they must make efforts to continue their travel). New Benefits: Under new benefits added in our 2018 product enhancements, all our plans include Mandatory Evacuation as a covered reason, and the highest level coverage (Premier) plan now includes Hurricane Warning. Read more about hurricane-related trip cancellation and interruption benefits. As in the couples’ getaway to Punta Cana, it’s too late to buy travel insurance to protect a trip after the storm has been named. So encourage your client to purchase travel insurance when they book their trip, rather than delaying the decision. This ensures that their trip is protected and you earn the commission on the sale. Secondly, when a severe storm is announced, remind your client that they shouldn’t prematurely cancel their plans. To be eligible for coverage, their destination accommodations must have been affected already, or their travel carrier must have already cancelled or delayed their travel itinerary. Vacations can be a large expense, and some travelers may save all year to afford their annual trip. A client shouldn’t be buying insurance out of fear; rather, you could mention cases of past clients who were fortunate to have trip insurance when their plans were affected. You might point out possible things that could go wrong, especially if they’re visiting an area known for hurricane activity, and how relieved they’ll be if their trip expenses are insured. For clients who may be anxious about planning a trip when hurricane activity is typically at its peak, travel insurance can give them more confidence in booking their trip, knowing they’ll have a financial safety net. Once they’re protected, it makes you look better and more knowledgeable, and they’ll thank you if any natural disasters do occur. Now you can sleep at night knowing you’ve done everything to help protect your client’s vacation. 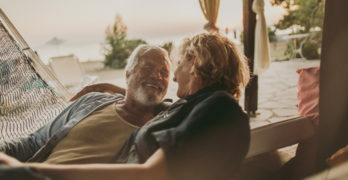 No matter what unexpected events happen between now and your client’s trip, you want to be able to reassure them that their vacation is in good hands. If a hurricane does impact their plans, at least the worst case scenario could be they’ll have to postpone their trip, but they haven’t lost their vacation funds.